Lara Reznik, a native New Yorker, escaped to New Mexico in the 1970s in a Karmann Ghia that she jump-started cross-country. As an English major at the University of New Mexico, Lara studied under esteemed authors Rudolfo Anaya and the late Tony Hillerman. She also attended a summer program at the prestigious Iowa Writers Workshop. Ambidextrous from birth, Lara preferred her right-brained creative side, but discovered she could make a better living with her left-brain skills, so entered the I.T. field in 1985. Since Lara published her first novel, The Girl From Long Guyland, in November 2012, she retired from her day job as an I.T. Manager. 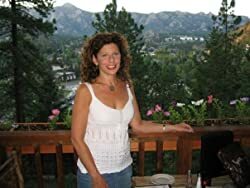 In addition to her novels, Lara has written and optioned three screenplays that have garnered semifinalist and finalist wins in the Austin Heart of Film, Southwest Writers, TV Writer, and Writer's Digest contests. Currently, Lara lives with her husband and two mini Australian Shepherds in Austin, TX, and is busy at work on a new novel, The M&M Boys due out in March 2014. Please enter your email address and click the Follow button to follow Lara Reznik!